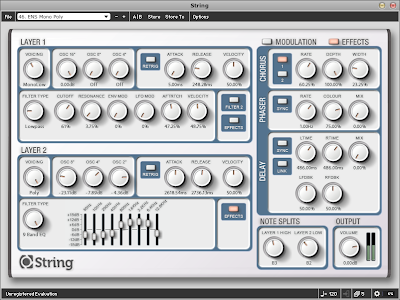 Loomer String Synthesizer is now available for purchase and to demo: enjoy! 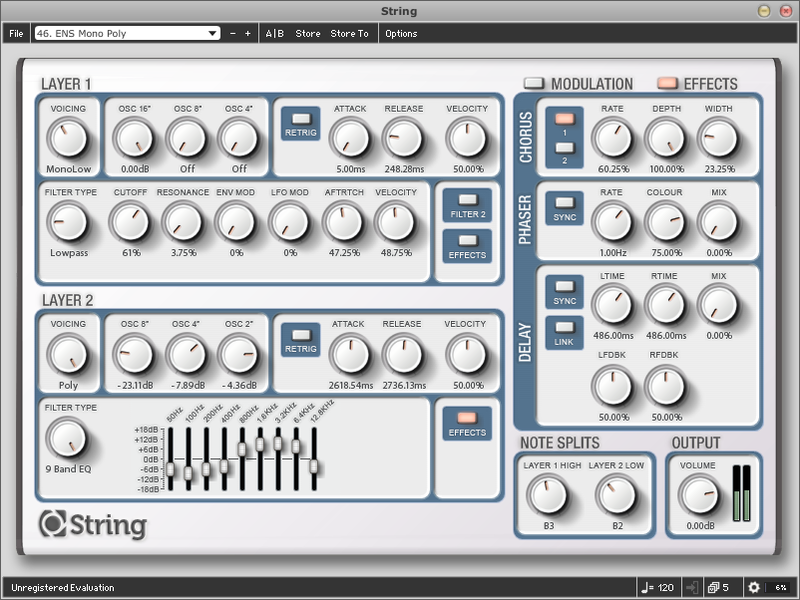 String is a dual layer, polyphonic string ensemble synthesizer available for Mac OS X, Windows, and Linux, in Audio Unit, RTAS, and VST Plugin formats, as well as in standalone application format. String's marvelous interface comes courtesy of freelance graphic designer Inquer. More information about String, as well as audio samples and a free trial download can be found here. User created Program and Bank presets can be saved, but not loaded back into the evaluation. They can however be loaded by a registered copy of String. Output will be periodically interrupted, approximately every 30 seconds, by a short moment of silence. Audio output will stop after 30 minutes of continuous use. String must be restarted to continue evaluation. The trial can be upgraded to the full registered version by purchasing a licence for only £50 (+ VAT if applicable).